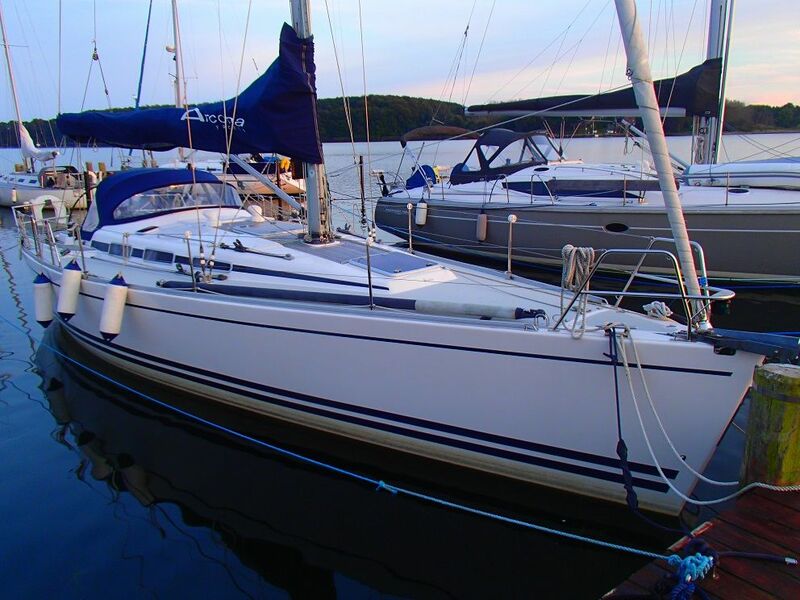 Launched in April 2007 and found in top condition, this Arcona 400 is ashore and ready for inspection. This is the racing version with the deeper keel. White hull with blue stripes. Sandwich construction by infusion process with multiaxial glass fabric and Vinylester, core material is 20 mm divinycell, solid laminate around keel, rudder and through hull fittings. The deck solid laminate where fittings are mounted. 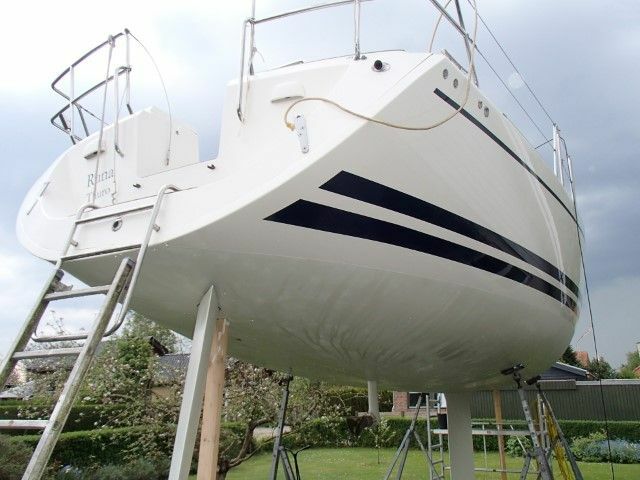 Hull and deck are white with dark blue waterline and trim line, all in NPG-based gelcoat. Open transom with bathing platform. Marine plywood securely bonded to hull and deck. Made of hot galvanized steel. The frame takes up the loads from hull, mast and rig. 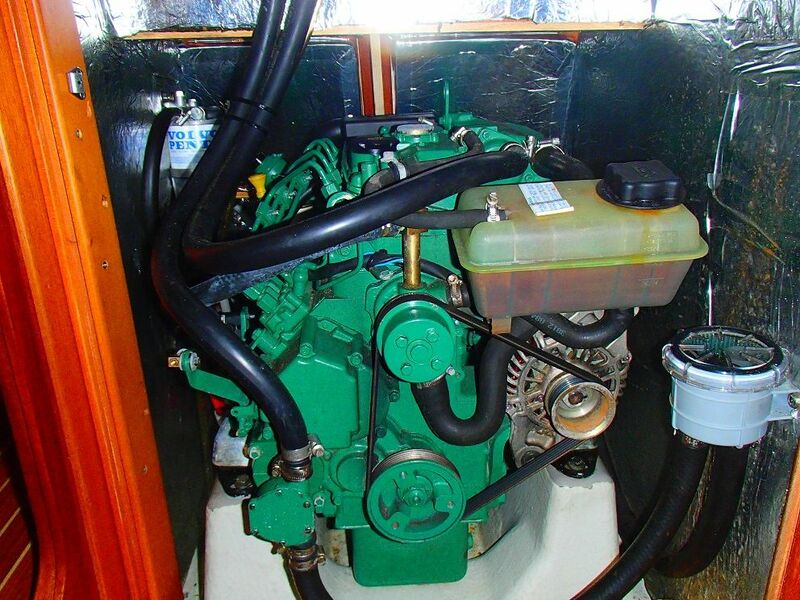 Volvo 2040 fresh water-cooled marine diesel with sail-drive and 3-blade folding propeller. Control display for low oil pressure, high engine temperature and charging. The engine is easily accessible for service. All hull inlets are fitted with seacocks. All hose clips are in stainless steel. Boatmatch Tip: Want more advice about buying this Arcona 400? Checkout our Boatmatch Buyers Guide! 14 V a.c. 80 amp. alternator. 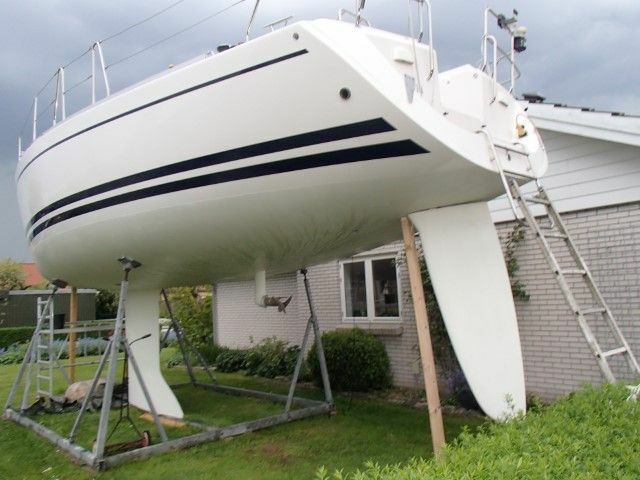 Boatmatch Tip: Need advice about possibly insuring this Arcona 400? Checkout our Boatmatch Insurance Guide! Halyard winches 2 x Lewmar 40. 2 x 3,2 m genoa tracks. 12 halyard stoppers and 2 organizers. 4 mooring cleats and 2 spring cleats. Double pushpit with flagpole holder and stern navlight. Double s/s lifelines, s/s bathing ladder. Integrated steering pedestal in GRP, stainless steel crash bar Stainless steel wheel ∅ 160 cm.
. Contact the seller of this Arcona 400 for more details. High standard handcrafted interior in selected and unstained mahogany, varnished to a satin finish. Interior lined in mahogany. Flooring of varnished teak and wholly removable hatches for the bilge, seacocks etc. Headlining of white vinyl covered plastic foam with mahogany strips. Curtains to all windows in salon and toilet. All cushions in high class furnishing fabric. Cupboards and doors properly framed and panelled in mahogany with profile edges. Spacious and light saloon with full headroom, 196 cm. U-chaped settee to port side, length 220 cm, settee to starboard, length 185 cm. Behind back rests large storage space. Brass reading lamps. Bookshelves and cupboards. Ceiling lights. Large table with drop leaf and bottle locker. Large navigation area. Chart table with storage under. Drawers, chart lamp, ample space for electronic equipment. U-shaped galley. Centrally positioned, allowing free passage between the cockpit and saloon. Stainless steel twin sinks. Gimballed twin burner gas cooker with oven. Gaspipes with stop valve and leakage indicator between cooker and gas bottle. Large working areas in easily cleaned and durable laminate. Well-insulated refrigerator. Storage compartment for provision. Cupboards for plates, cups and glasses. Bottom cupboard for utensils. Waste basket under sink. Drawers for cutlery. Cutting board. Lights over working areas. Stainless steel water tank (260 l). Electrical freshwater pump. Hot water boiler. Large toilet compartment with full headroom and shower facilities. Large recessed washbasin. Sea toilet with holding tank (55 l). Electrical freshwater pump. Mirror, large cupboard, ceiling light. Shower water evacuation pump. Wardrobe for wet clothes. Two large cabins separated from the main saloon by doors. Large hanging wardrobe, 2 wide full-size double berths. Reading lamps, 2 openable portholes. 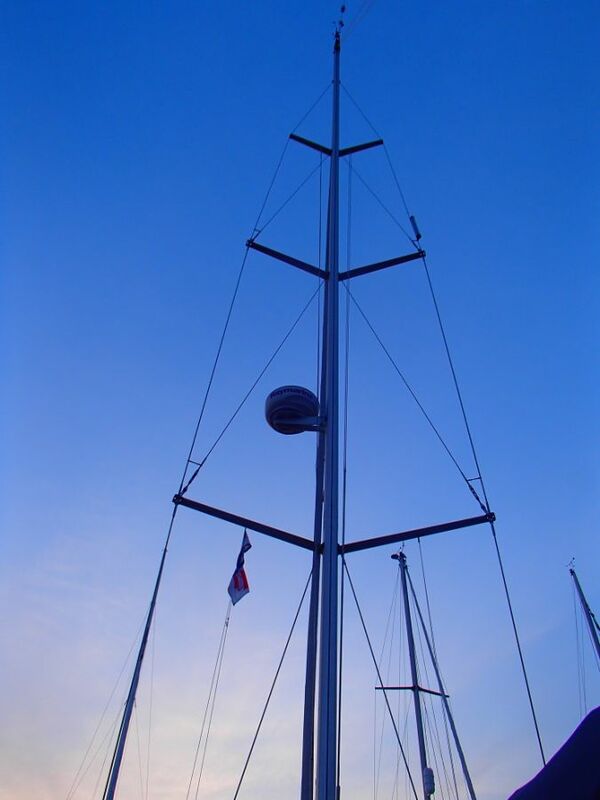 Boatmatch Tip: Have a question about the accommodation of the Arcona 400? Contact the seller via clicking on the registering interest button above. Arcona 400 is built in accordance with the European CE-regulations and meets the high demands of the category A-Ocean. This requires that the yacht must be self-sufficient for more than 5 days and able to operate in waves up to 7 meters with winds up to Beaufort 10. But more than that every Arcona reflects our Swedish thoughtfulness and attention to detail. Hull and deck are hand laminated in a sandwich construction using high density Divinycell as the core material. The laminate is built up of multiaxial rovings and high grade ISO-polyester. We laminate the bulkheads and the interior to the hull and deck giving the construction superb strength and rigidity. We don’t trust simplifying innerliners. The heart of the boat is a galvanised steel chassis bolted to the main bulkheads which takes all the dynamic loads from the keel and rig and distributes them to the hull. The chassis runs from forward and ends more than 2 meters behind the keel giving the construction huge structural strength. The keel-bulb is made of antimony-hardened lead, bolted to a cast steel fin giving the keel a very low centre of gravity. 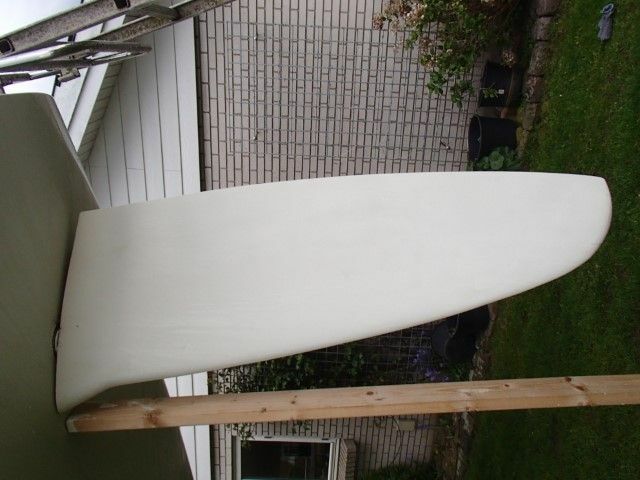 The fin is glassed and faired with polyester filler to a smooth finish. It is bolted through the hull to the steel chassis with 12 x 20mm stainless steel bolts. 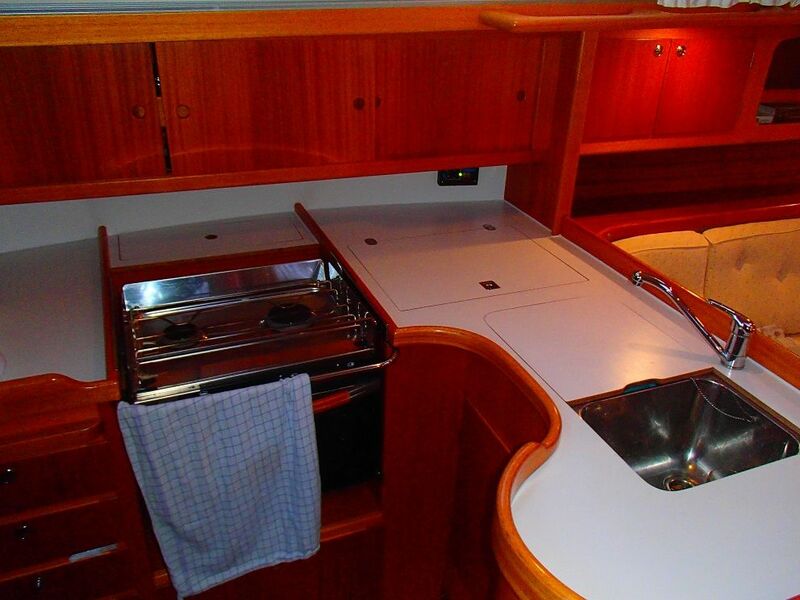 The interior, made from Khaya Mahogany, is varnished to a satin finish and can be offered in different layouts, 2 or 3 cabin version and 1 or 2 toilets. Our yard where Arcona 400 is built is one of Europe’s most modern and efficient. Each boat is built by a team of specialists. Our detailed quality control includes testing every yacht in the big indoors water pool, where sprinkler systems guarantee that every Arcona 400 is ready to meet the elements. We know that all sailors have different demands, that’s why we never build boats for stock. Each boat is hand built for its owner. 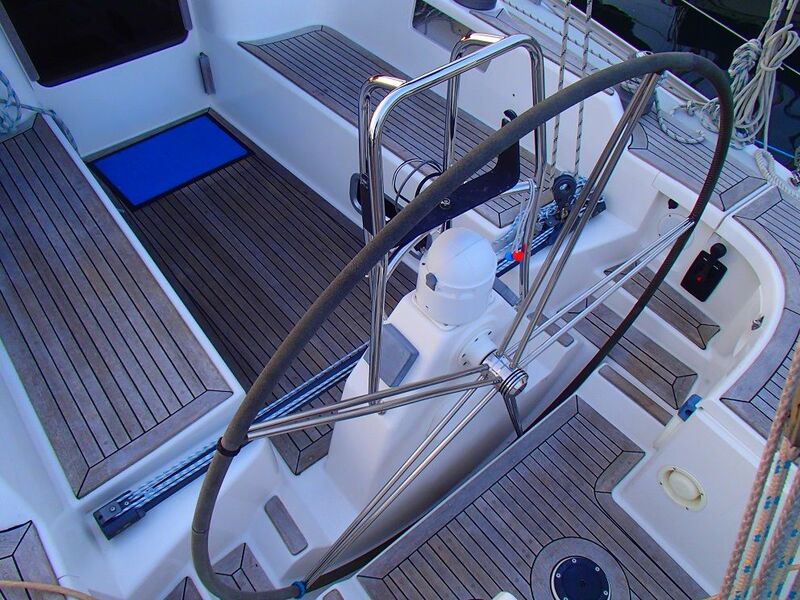 Arcona 400 is equipped with Keel-Pro, a patented method to avoid damage if running aground. The lower forward end of the lead bulb has an integrated shock absorber made from a special mix of SBR and EPDM rubber which has within it a container filled with water. If running aground the water is pressed out through holes in the sides of the shock absorber, afterwards the container will be automatically refilled. 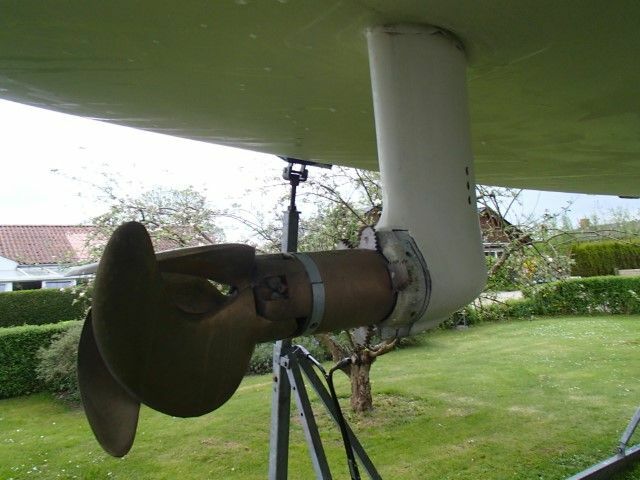 Keel-Pro thus reduce the forces considerably if running aground. That together with the strong galvanised steel chassis makes the Arcona 400 one of the safest yachts to sail. 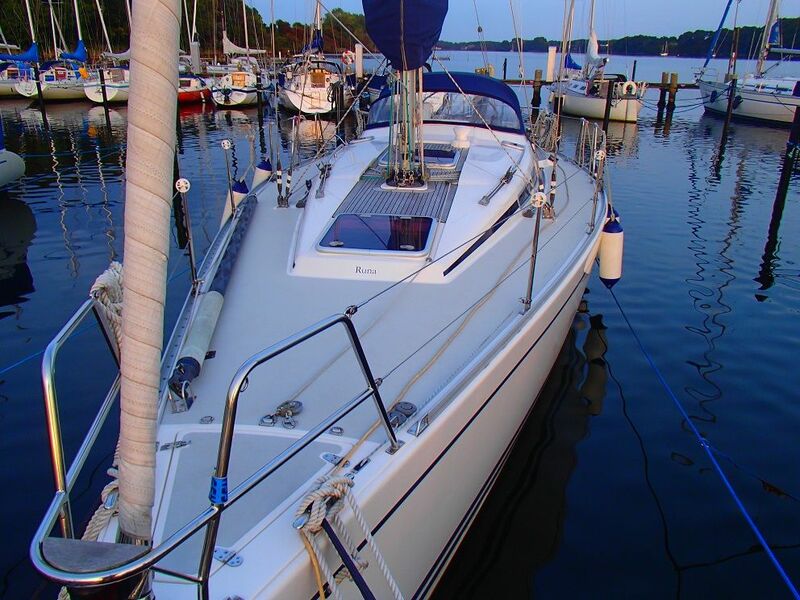 Arcona 400 For Sale is lying in Svendborg, Denmark. At 11.98 metres (approx. 39.3 feet) this Arcona is a bargain at €180,000.